As you can see, I've made an attempt at updating my very neglected blog. Still like to keep things clean and simple but I'm still wanting to create some nifty buttons for my typelists. And still working on a banner. Not easy. The weekend was fab. Oh btw, I should mention that I am booked for the freebie photo shoots but don't fret! I will be fully operational by early spring with a great portfolio and affordable pricing. Mmmm...summertime in Alaska should be awesome! Ok, back to the weekend. I successfully backed Pioneer Woman's infamous cinnamon rolls. I did cut the recipe in half since it was my first go. I really didn't want 50 uneatable rolls. Working with yeast scares me. I had a bad experience years ago when I used the bread machine we got as a wedding gift. I can't even describe to you how my first loaf of bread turned out. Hadn't worked with yeast since. But alas! They turned out to be very tasty and comforting iced in lot's of maple icing. I ended up freezing the other pan for later. This wasn't a "healthy eats" kind of weekend at all. In addition to gooey cinnamon rolls, I made the best meat sauce I've ever made. I'm not a huge red meat eater but sometimes I crave a nice meaty tomato sauce for pasta. I did it in the slow cooker just to save some time later that evening. That accompanied by yet another PW recipe, Olive Bread. OMG. OMG. I could have just eaten the bread for dinner. 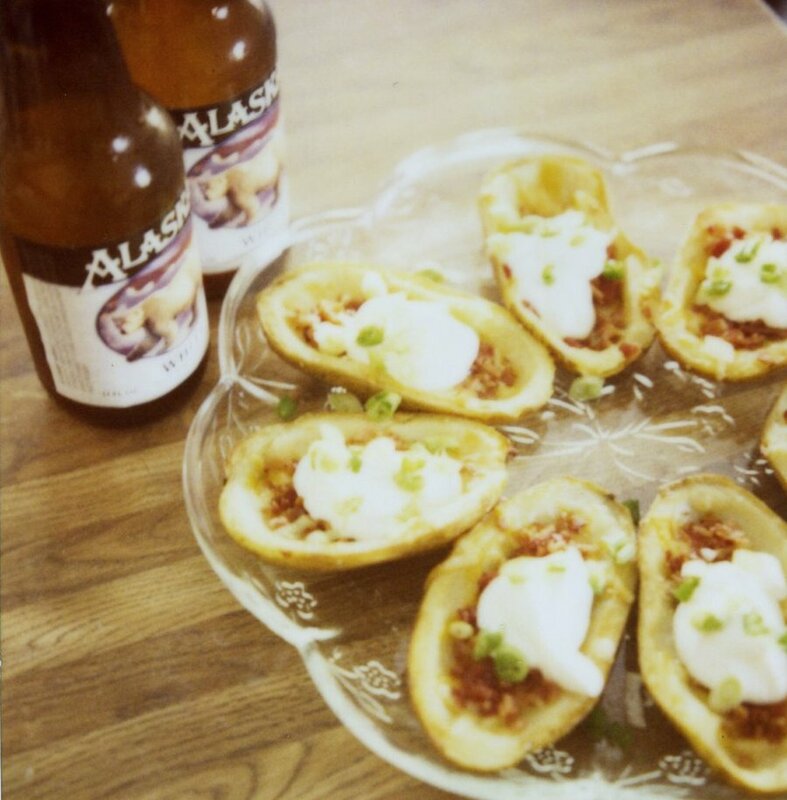 The day before was potato skins, & beer. Come on, it's football food. How does one eat healthy during a game? Can't be done I tell ya. So here I am this cold Monday morning, pants feeling a little snug around the mid-section, entering in my Venti NF Latte into my "Get Fit" app, and thinking a nice crunchy salad would be nice for lunch.